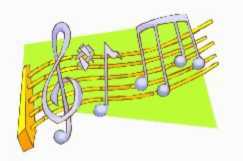 Linked from this page you will eventually find a wide variety of information on songwriting competitions and songwriting contests. I will also alert you to new songwriting books and share with you what other songwriters have to say about their craft in a section called, Songwriters on Songwriting. It will take time to gather this information. Please check back often. But my main interest is to provide tips, secrets and inspiration to those who are beginning songwriters - no matter your age. Songwriting skills can be developed when you are older, too. I've been a songwriter for many years. I began writing songs out of frustration because I could not find enough music for my type of voice that also reflected the message that I wanted to give to an audience. So I started to write my own songs. DO YOU RECEIVE MY NEWSLETTER? Subscribe to my weekly newsletter, HOT VOCAL TIPS FOR SMART SINGERS! for singers of all ages - that will bring you Insider Tips, Vocal Secrets & Helpful Tools. Learn about singing, songwriting, performing, vocal health, audition tips and much more to help you become a much better singer - PLUS Two Unique & Free Gifts. Those early days of songwriting were exciting, but slow-going. I had the advantage of having a degree in music. I could read and write music. But this is not necessary for a beginner songwriter. You can still create great melodies and write powerful lyrics even though you do not have strong musical skills. Still, I suggest to all of those singers who study singing with me and want to develop songwriting skills, that it is a huge help to be able to get your ideas down on manuscript paper. 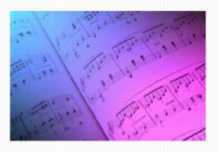 It is much easier for others to learn your songs if they are properly notated. And you will be able to prepare your own work for the recording studio, as well. So if you have the means to do so, learn as much music theory as possible. There are some very good books available that will teach you the basics. (See the beginner songwriting page). Then, a few piano (or guitar) lessons can get you used to finding your way around a keyboard (or a "fret board").The piano and/or guitar will help you a great deal - in fact they become your musical "friend" as you build your first songs. Click below for the "Beginner Songwriting" page. I will write a new tip every week for the next 6 weeks. We songwriters can find inspiration in all sorts of places.